The annual Swope Health Services Treat Town for safe Halloween trick or treating will be held 6:30 to 8:30 p.m. Wednesday, Oct. 31. The event is free and open to the public. For this event, the 23rd annual Treat Town, SHS Central Building C is converted into a spooky Halloween extravaganza, with lots of places for kids to show off their costumes and collect toys and treats. Community organizations also participate, offering information along with their candy and treats for the tricksters age 12 and under. There’s music and dancing, provided again this year by Battery Tour, featuring AY MusiK, the founder and leader of this popular Kansas City-based community-focused music festival band. Last year, more than 1,500 children and their parents came to Treat Town. 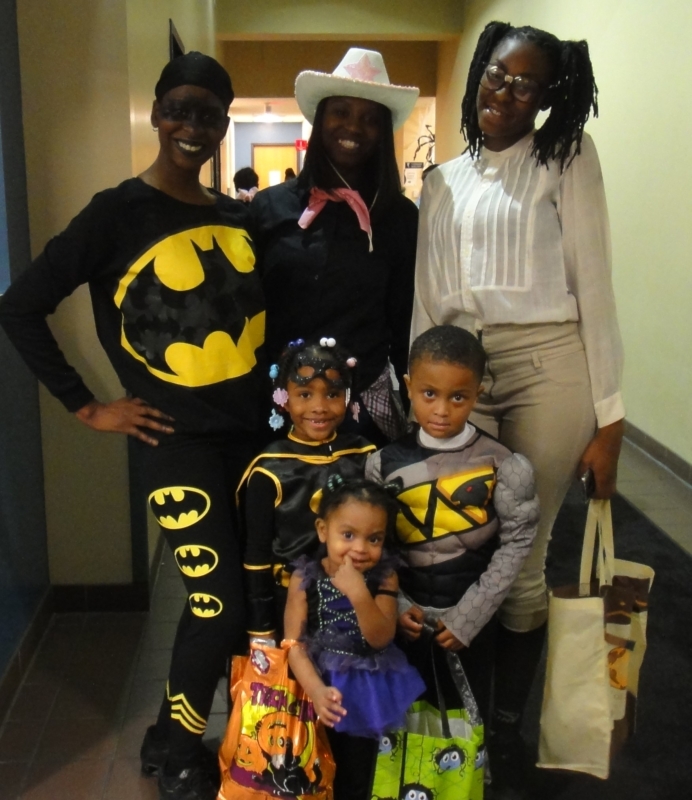 For many children, Treat Town was their first-ever trick-or-treat experience – warm, safe and fun with plenty of toys and treats. No tricks! Please plan on joining us for Treat Town! Participants at a recent Treat Town at SHS all filled their bags with candy, toys and treats!